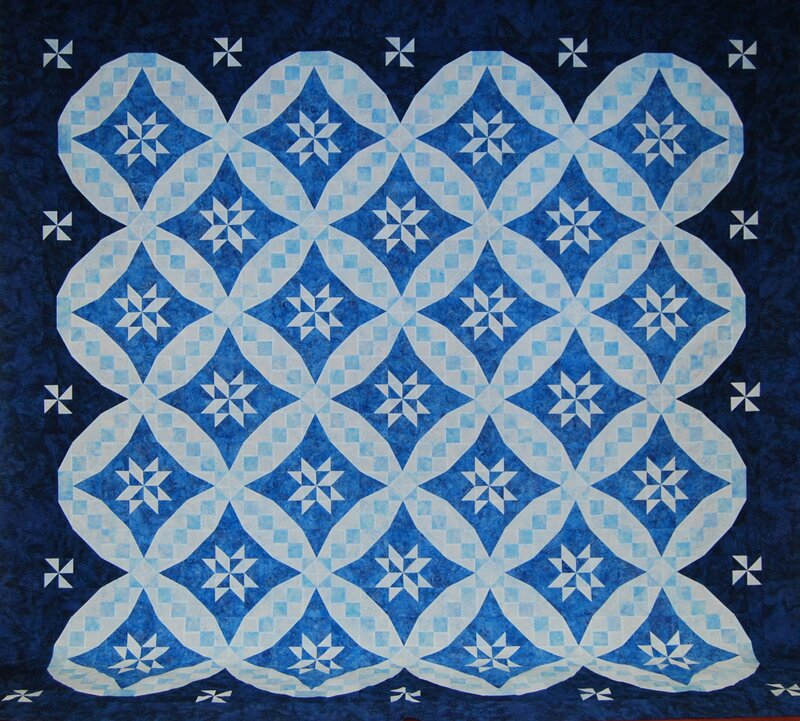 You, too can make this gorgeous quilt with our easy-to-follow instructions, and some Studio 180 rulers. "Spring Valleys", Yankee Pride's Spring 2015 Mystery Quilt, will be a stunning addition to your home. Judy used Studio 180 rulers for greater speed and accuracy. While the pattern may look very difficult, our easy-to-follow instructions will help even a confident beginner to make a beautiful quilt. Our instructions allow you to make the quilt in three sizes: Wall, Throw, and Queen, and you can see our students' versions of the quilt by going to the Spring 2015 Mystery Gallery. One advantage of our Mystery Quilt patterns is that Judy gives you guidance in fabric selection - one of the most difficult parts many people have when starting a new quilt. Click here for Judy's fabric selection suggestions and for yardage requirements.